Established in 2001, Marquez Iron Works is a family-owned and operated business which offers comprehensive iron work services to homeowners, business owners, industrial clients and construction industry professionals in Laguna Hills and throughout Orange County. 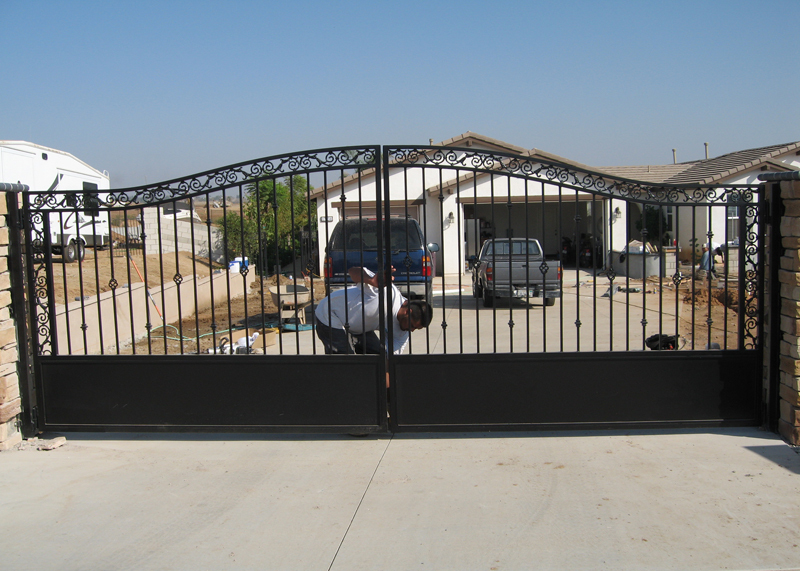 At Marquez Iron Works, we specialize in designing, crafting, and installing exceptional quality iron fences, gates, railings, window bars, security screens, and entry doors for residential, commercial, and industrial clients at very affordable prices. In addition, we also offer a full service ornamental metal shop, and can manufacture structural steel and moment frames for new construction; design and craft such functional architectural features as metal staircases, pit and roof access ladders, metal bridges and gazebos; and also create decorative items such as metal wall sconces, furniture, and picture frames. At Marquez Iron Works, all of our iron work is constructed and installed according to all applicable homeowners association CC&Rs and municipal building codes, and is built to last. Our ironwork is available in a selection of iron types and powder coat finish colors, and can also be galvanized or metalized upon request. 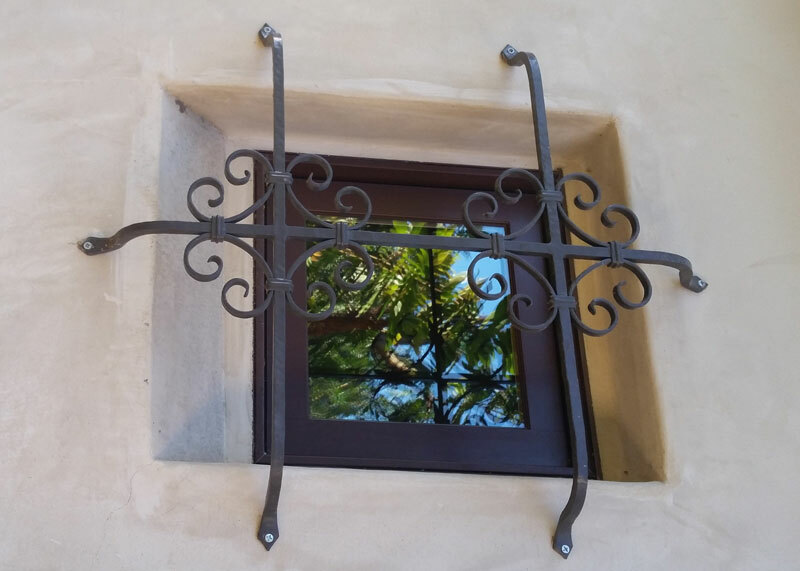 Trust the professionals at Marquez Iron Works for beautifully designed and meticulously crafted iron work which will add style, value, and ambiance to your Laguna Hills home or business. Call us today. 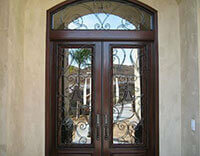 We offer free onsite estimates to Laguna Hills and all of Orange County. 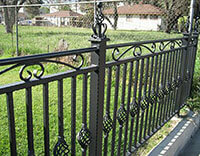 Marquez Iron Works holds a C-23 Ornamental Metal Contractor's License, and is bonded, and insured. At Marquez Iron Works, our entry and access gates are offered in both Old World and New World designs, including: Mediterranean, Spanish, and other traditional European styles; as well as Craftsman style and many other contemporary options. Our entry and access gates are offered in a choice of iron types, including: iron, steel, stainless steel, aluminum, cast iron, and wrought iron. In addition, they are available in a combination of these metals, as well as in iron and wood combination designs. All gate scrollwork is hand-forged in our full-service iron work shop, and all gate metalwork can be galvanized or metalized upon request. Our gates come powder coat finished in standard black or bronze, as well as a limitless selection of custom-color options. Call us today in Laguna Hills. The ironwork specialists at Marquez Iron Works are the trusted choice for Laguna Hills business owners for expertly designed, crafted, and installed iron fences, gates, railings, window bars, security screen doors, front entry doors, structural steel, and custom metal work. At Marquez Iron Works, we provide our exceptional quality, competitively priced iron work for homeowners, business owners, and construction industry professionals throughout Orange County, and have been doing so since 2001. As a full service ornamental metal contractor, we can fabricate and install structural steel such as steel support columns, moment frames, steel staircases, and steel landings. In addition, we can custom-design and craft custom metalwork such as pit and roof access ladders, gazebos, bridges, iron furniture, wall sconces, and cake stands. At Marquez Iron Works, we are a full service ornamental iron contractor, and have a complete ornamental metal workshop. 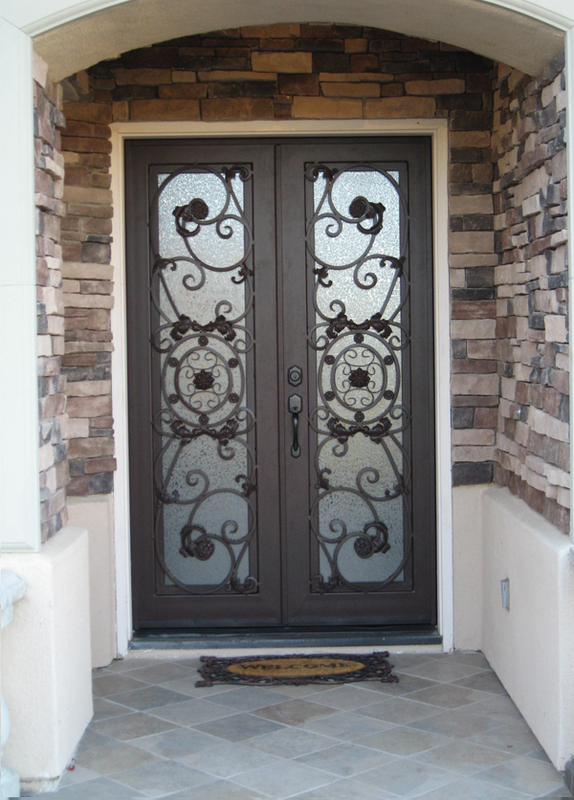 This facility enables us to custom design and craft all types of iron doors, and to offer them to our Laguna Hills clients at very reasonable prices. At Marquez Iron Works, we specialize in designing property fences, perimeter fences and security fences, and we can create any style of iron fence imaginable to enclose your Laguna Hills residential or commercial property, from a simple, standard iron fence to a custom-designed, highly ornate iron fence. Most residential and commercial property fences are designed to delineate the perimeter of a property, but at Marquez Iron Works, we can also make fences for pet enclosures, pool enclosures, or to fence off various areas of your yard or business. In addition, we have a proven track record of providing strong, effective, as well as affordable iron security fences and security gates. 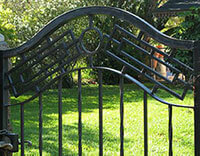 Our beautiful fences are available in a choice of iron types, as well as iron and wood, and iron and masonry designs. Call us today. At Marquez iron Works, we offer Laguna Hills our custom metal work in a choice of metal types, including steel, iron, and stainless steel. In addition, our craftsmen can also work with brass, bronze, and copper. Our metal work is available in galvanized or metalized finishes, for maximum resistance against the elements, and can be powder coated in a choice of custom colors, to perfectly enhance the decor of your residential or commercial property. Call us today with any and all ideas you may have for custom metal work projects at your Laguna Hills home or business. 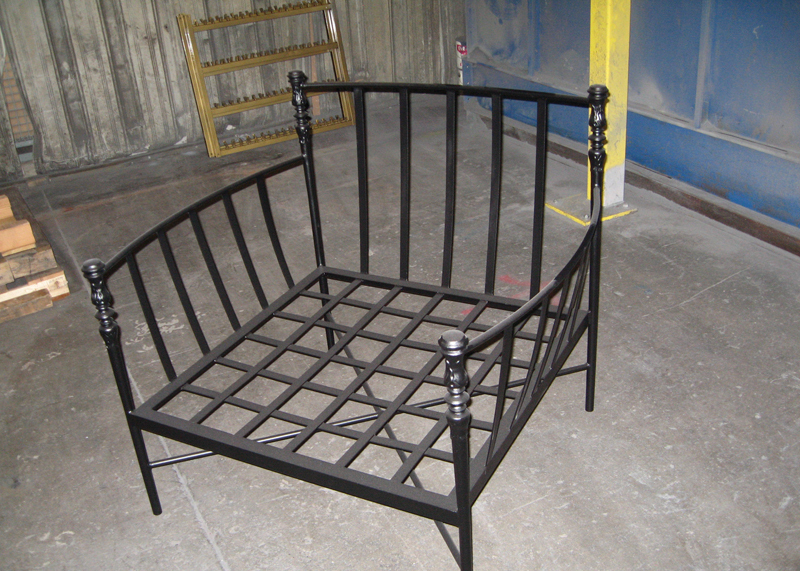 Our skilled craftsmen look forward to the opportunity to turn your design visions into reality. 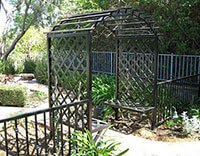 At Marquez Iron Works, we offer free onsite design consultations and estimates, and are licensed, bonded and insured. At Marquez Iron Works, we have provided structural steel for building contractors in Laguna Hills and all of Orange County since 2001. We can fabricate steel columns, moment frames, steel staircases, and steel landings, and expertly install them in residential and commercial new construction and remodelling projects. In fact, our precision craftsmanship and unmatched skill at performing our installations has made us the structural steel contractor of choice for many area building contractors, who rely upon us regularly to supply the structural steel for all of their building projects. Call Marquez Iron Works today. We offer free onsite estimates to all of Orange County, and we will be happy to come out to your jobsite and give you a bid on providing the structural steel for your residential or commercial building project. 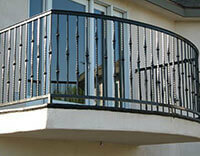 Whether you are looking for an ornate balcony railing or stair rail to add Old World elegance to your Laguna Hills home or business, or a handrail or guardrail which complies with current ADA (Americans with Disabilities Act) standards and municipal building codes, the ironwork specialists at Marquez Iron Works can design, craft, and install the perfect railing for your needs at an affordable price. 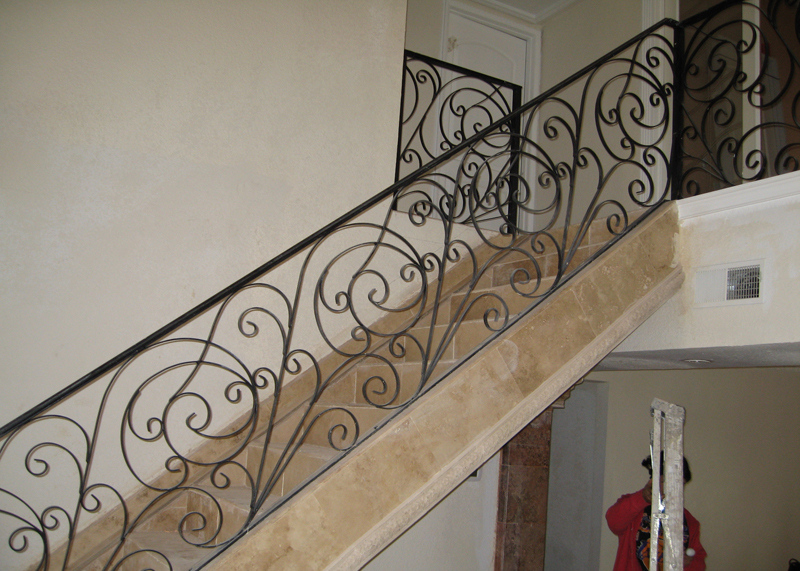 At Marquez Iron Works, our expertly designed and precision installed railings are certain to add style and functionality to your Laguna Hills home or business property. They are available in a choice of metal types and custom powder coat finish colors. 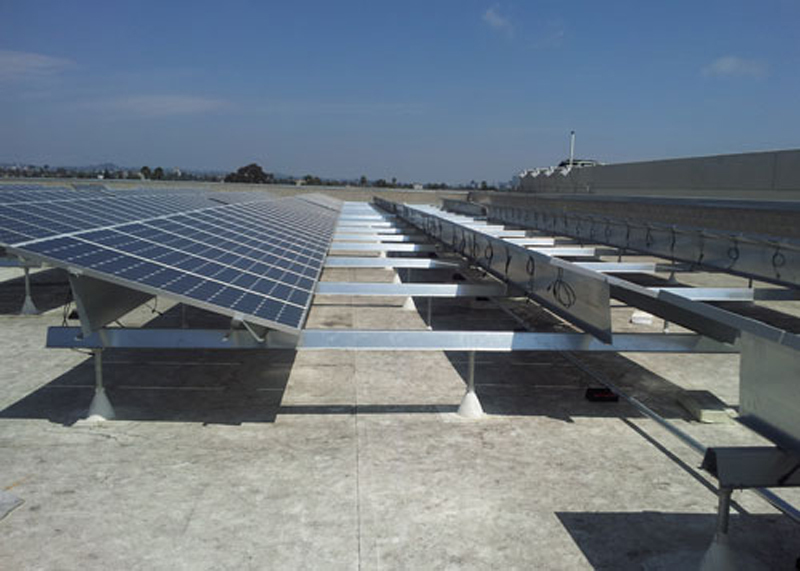 In addition, they can also be galvanized or metalized for maximum resistance against the elements. We also offer glass railing and cable railing, two types of railing which provide an effective barrier with obstructing a scenic view. Call us today in Laguna Hills. Call Marquez Iron Works today and learn about our cost-effective, attractive security window and security screen door solutions. Security window bars and screen doors are an effective way to protect your valuable Laguna Hills residential or commercial property from unwanted break-ins. At Marquez Iron Works, our security doors and window bars are designed with the most up-to-date safety features available in the industry today, because your safety, and the safety of your employees, family and guests is of utmost importance to us. Call us today to schedule a free consultation and estimate on our top quality, competitively priced Laguna Hills residential and commercial iron work services. We look forward to your call.